This is the last General Neighborhood Meeting of 2016! SACC members will vote to elect new board members to represent the community 2017, as well as voting to approve new bylaws for the organization. A free spaghetti dinner will be served, along with other refreshments and snacks. Beverages, including beer, will be available for purchase at the bar. 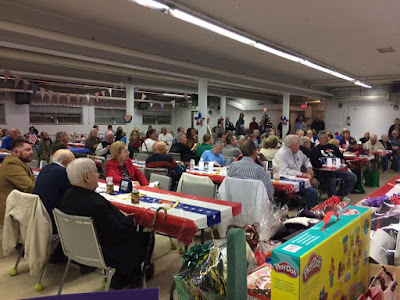 If you would like to become a member or renew your membership before the meeting, you can become a member with a few quick clicks with PayPal (see right sidebar). If you would like more information on membership, please visit the "Membership" tab at the top of the page. 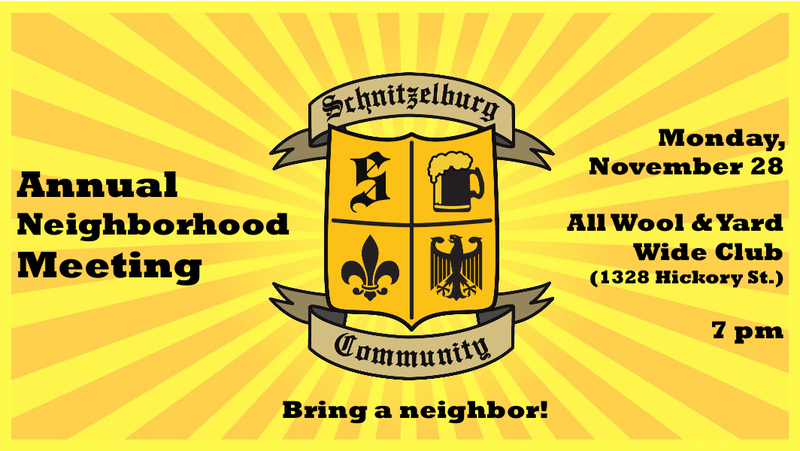 The Schnitzelburg Area Commnity Council is honored to announce Steve Magre as the recipient of the 2016 Schnitzelburg #1 Citizen award. This is the 51st year the award has been given. Steve is a former Alderman with the City of Louisville and later District 10 Metro Councilman. 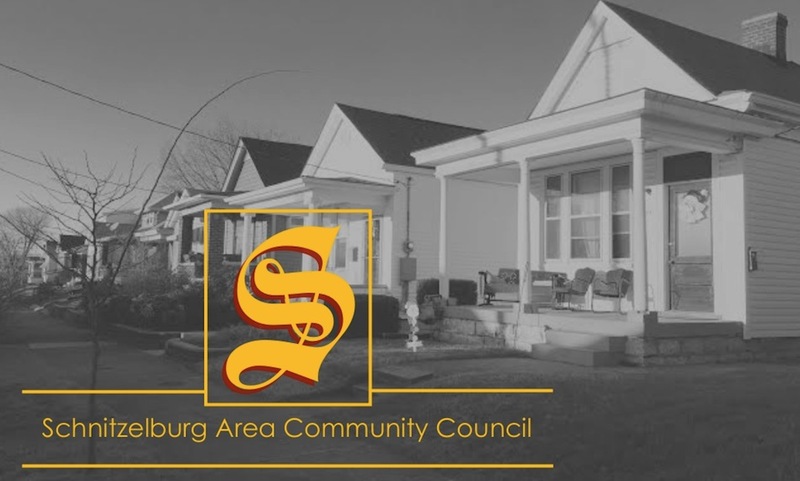 Steve, as well as his wife Judy, are heavily involved in the German-Paristown Neighborhood Association and been tirelessly working toward the betterment of Germantown and Schnitzelburg for decades. 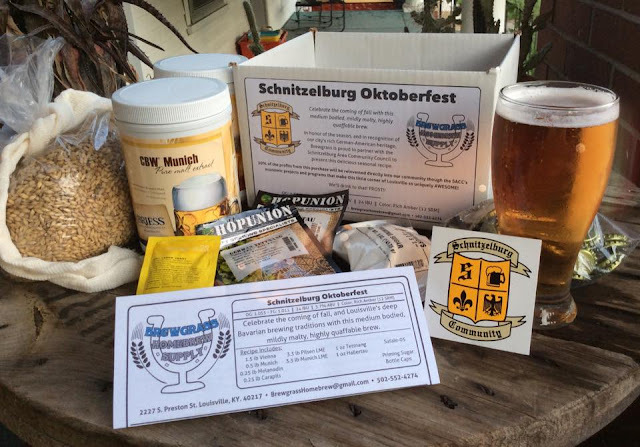 From Steve: "My sincere thanks to Lisa and all at SACC. This was a big surprise, and one I found most humbling. 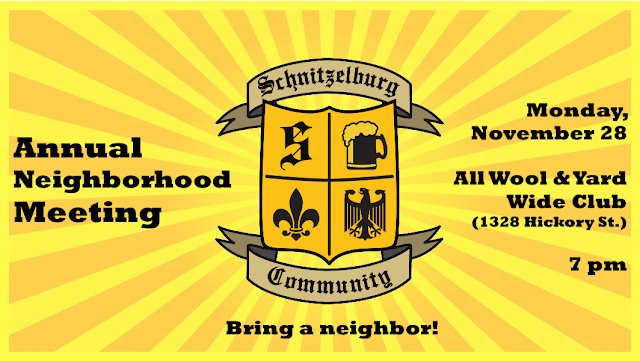 I do love Germantown/Schnitzelburg and all we stand for; and stand up for. I consider so many of the prior winners as persons I admire. Many of those winners have passed of course. During the latter part of the evening I stopped to say a private thank you to all of them. So many things make us a great place to live, work and play, and our rich heritage is right at the top of the list. Finally, I thank Mayor George for having such a great vision 51 years ago that centered even back then on reminding all of us to never forget our roots, and be willing to laugh with others at ourselves. Good formula for the good life!" We are so thrilled to be able to honor Steve with Schnitzelburg's highest honor at the #1 Citizen Dinner, which was held on Thursday, November 10th. Hundreds filled St. Elizabeth's cafeteria to honor Steve, enjoy a delicious German dinner from Heitzman's Bakery, and socialize. We look forward to seeing you all again in 2017 for the 52nd Annual #1 Citizen Dinner! 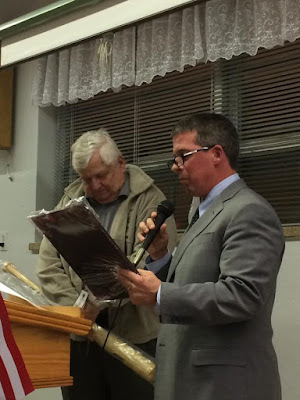 Councilman Mulvihill presenting Steve with a plaque. 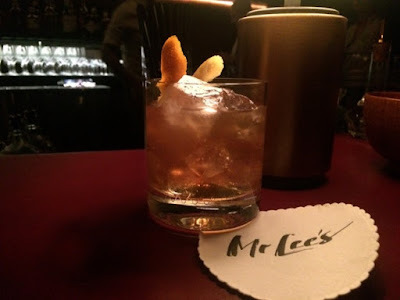 Mr. Lee's opened on Wednesday, November 22nd at 935 Goss Avenue. The spot, formerly Groucho's Karaoke Bar, is a small, yet swanky speakeasy serving up delicious cocktails. For more about Mr. Lee's, check out these articles from The Courier Journal and Insider Louisville. I hope to get more overviews as well. That's an interesting post. I am interested in getting more information of this type.